After months of speculation, Apple has launched their first wearable gadget, the Apple Watch. Billed as a ‘smartwatch’, the Apple Watch (not iWatch, as some people thought it would be called) allows you to check emails, message people and do all kinds of other important stuff from the comfort of your wrist. The Watch is launching in 2015, which gives us all a bit of time to save up some cash (sell some electronics if you need a bit of help). Of course, the big question is do you actually need one? Find out in our surprisingly easy guide! Apple unveiled three ‘collections’ for different kinds of lifestyle: the standard Watch, the Watch Sport and the Watch Edition. The Sport is designed for use when exercising (complete with trendy rubber strap), while the Edition – which features an 18 carat gold case – is aimed at fancypants executives. There are 18 different designs across the 3 collections. Smartwatch design tends to range from ‘average’ to ‘horrendous piece of plastic a 5 year-old wouldn’t be seen dead in’. 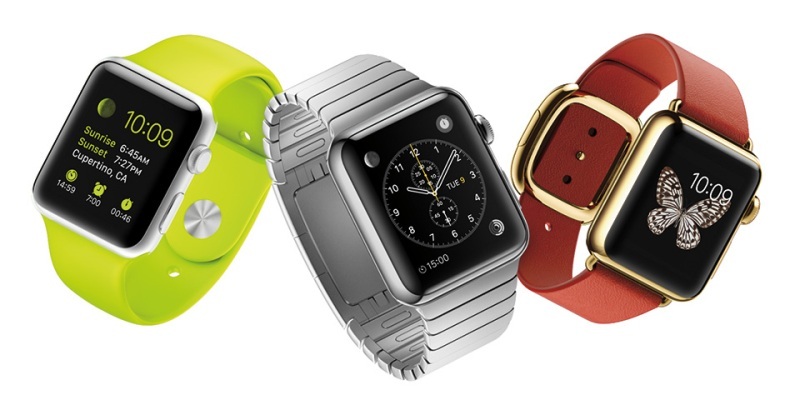 The Apple Watch looks like something you’d see in the window of a high-end jeweller’s. The Watch’s crown is used to scroll through menus and select stuff; it’s kind of like a fancy version of the iPod’s click wheel. The Watch still has a touch screen though, complete with technology that measures the pressure of your finger taps. As well as Apple’s native apps, you’ll also be able to receive Facebook and Twitter notifications. Tim Cook stated that the Watch’s time is accurate within 50 milliseconds. Not too shabby! Apple’s dedicated Health app provides an overview of your activity, while the Watch can track the quantity and quality of your physical activity. The Apple Watch features a unique OS designed especially for a smaller screen. The home screen is designed to help you find your favourite apps quickly, while the text has been optimised to save you straining your eyes. Apple didn’t use Sapphire glass on the new iPhones (as was expected), instead saving it for the Watch’s face. It’ll reduce the potential for scratches and cracks. The Apple Watch will retail for around £216, which is quite expensive when you factor in the cost of an iPhone (and possibly a monthly phone contract too). Want to know more about Apple’s latest iPhones (yes, there are two of them)? Check out this blog post. And if you need a bit of extra cash for all these new Apple goodies, why not sell your current Apple stuff with musicMagpie?